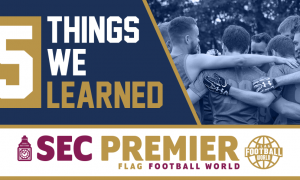 It’s been a quick season it feels, but it’s been long nights at FFW HQ as we break down the stats for each team! 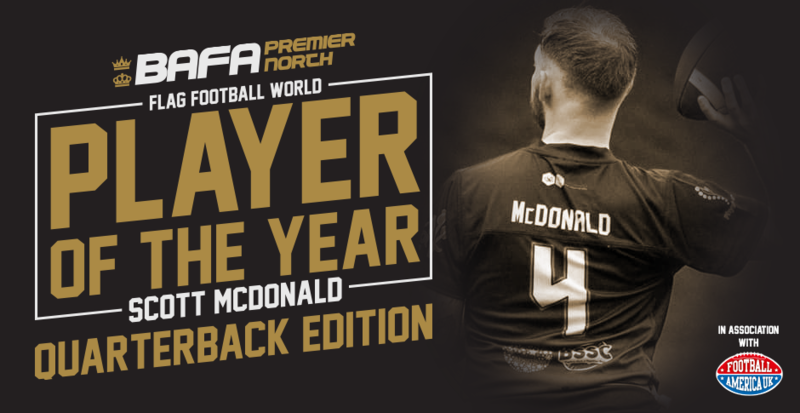 In the Premier Division North, competed between the HNC and MEC, we’ve had one player who has consistently featured at the top since our first update. Here’s your top 3! Alan Young, more affectionately known as “Youngy” has been in awesome form for the Hornets this season. Of the regular QBs taking snaps, he’s got by far the lowest TD:Int ratio, with 54 TDs thrown and 3 picks. He also has the second least amount of sacks, as he has a knack for quickly diagnosing defences. The Hornets offence incorporates a lot of running and option pass plays, which is no secret. 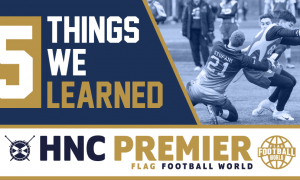 This means that Youngy’s teammate, Nicky Farrell has tallied up 23 passing TDs of his own – enough to have given Young the outright win. 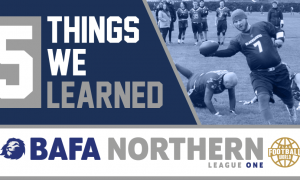 He also sat the last game-day to rest up for Britbowl, as the team’s goals took priority. 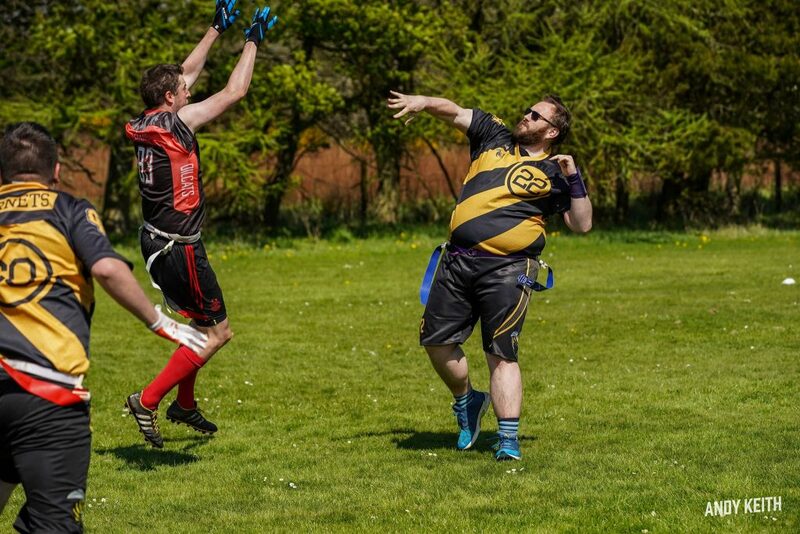 Still, it’s been an incredible season for the Glasgow gunslinger, as we finally got to see what a full season of Youngy under centre would do for the Hornets offence. The Titans have arguably been one of the stories of the season, and the play of Alan Mead is a huge part of that. With 67 TDs thrown, he’s second by a good distance, but Alan’s quickfire offence is what impresses us, as he’s taken only 5 sacks all season. Don’t underestimate how lethal he is from 5 yards out, as he’s got 39 XP passes thrown – the most in the North. The Titans are always going to be competitive with such an intelligent QB pulling the strings. Scott’s season has been awesome since the word go. While we don’t see the same output from QBs in the North compared to the South, you can chalk some of that up to the tough defences they face, as the Oilcats, Giants, Broncos and Hornets have all had historically some of the nastier stop units in the league. Scott has manage to emerge from the tough schedule with an awesome 69 TDs thrown, with only 10 picks (3rd lowest) and 9 sacks taken (joint 4th lowest). Scott’s season started with some uncertainty, as he was originally seemingly going to suit up for the Aberdeen Silvercats. 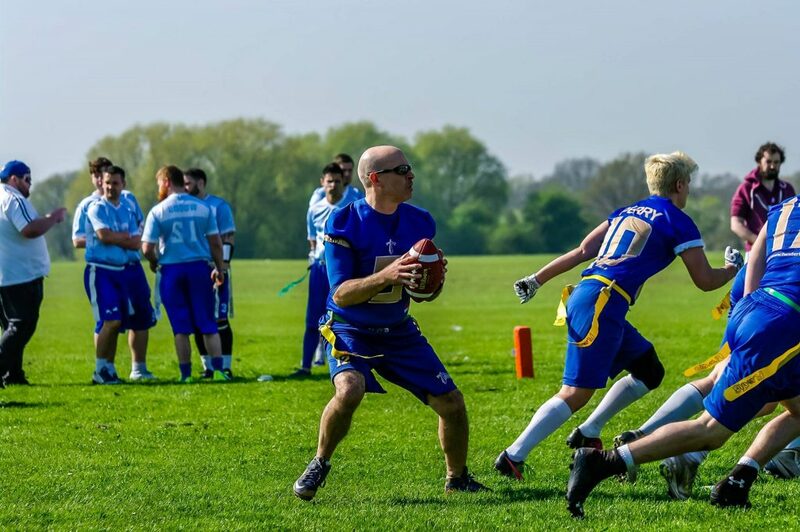 On game-day one, Scott was called up for the premier division squad, and cemented his bid to be the starting QB for the Britbowl contenders. There’s been some bumps in the road, but overall Scott has provided far more poise and control of the offence, and given the Oilcats a consistent, reliable signal-caller. We caught up with Head Coach Mike Scott about his QB’s win! Congratulations Scott! In partnership with our friends at Football America, the one stop shop for all things American Football, Scott will receive a custom hoodie for his efforts!